The new OMAX's largest Waterjet machining center, model 80160 has arrived and is installed and fully operational! 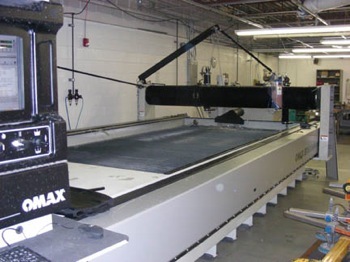 OMAX's largest Waterjet machining center, model 80160. The large cutting envelope (80" x 160") was released for service December 10th, increasing our capabilities to quickly turn customer orders. Our 1st Omax waterjet has been upgraded to the latest 40hp, 50,000 psi pump! Close tolerance precision cutting +/- 0.005". Capable of cutting materials up to 6.75 inches thick. Maximum cutting envelope 100" by 55". Neosource recently upgraded our waterjet capabilities to a 52,000 psi pump for providing faster turn times. Our OMAX Jet Machining Center provides the versatility required for short-run part production, "just in time" manufacturing and single piece prototype parts. It is everything a close tolerance machining center should be. 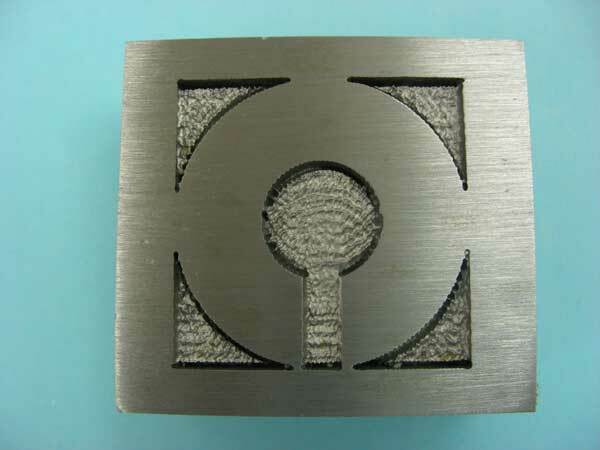 Neosource Waterjet can be of service to you on your short-run and/or production run requirements regardless of material compostion: metals, plastics, ceramics, composits or glass. 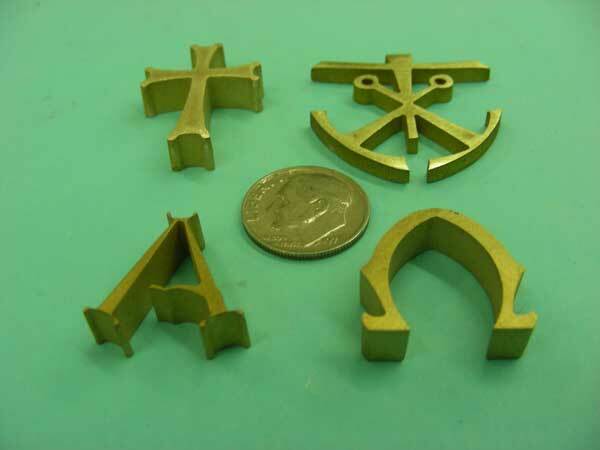 Waterjet cutting has special advantages in cutting extremely hard materials, relfective and non-conductive materials such as inconel, tool steel and stainless steel. Material thickness up to 6 inches. Your drawings can be received in .DXF format as well as engineering, and production drawings, blueprints and freehand artwork. We have the necessary facilities to scan your drawings, prints and artwork directly into our OMAX software for waterjet pattern set-up. 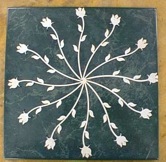 Be assured that Neosource Waterjet can produce your requirements with the highest quality and still be competitive in the marketplace.